Raise your hand if your heart has ever been broken by a snob. Come on, don't be shy. On another aspect, did you like Laurie's all-white outfit? I've always wanted my own white suit. 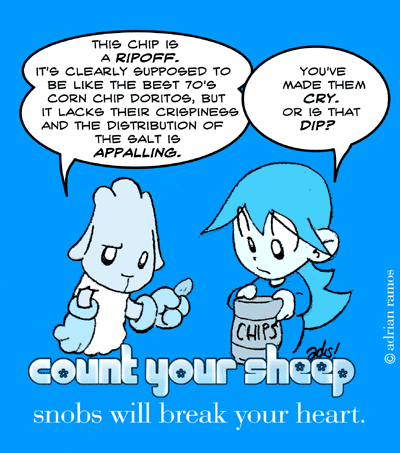 Anyway, did you send your guest strips to countyoursheep@gmail.com. Thanks!